The number of Canadian music streaming subscriptions doubled, from 8 percent to 16 percent, in the 13 month period between September 2015 and October 2016, according to Toronto-based consumer research firm SRG. That’s a pattern that mirrors what’s happening in the U.S, says the firm in its latest report on the Canadian streaming industry. As of this past October, SRG estimates that there were 1.6 million active streaming subscriptions in Canada. By comparison, data from the Recording Industry Association of America (RIAA), suggests there were 22 million active subscriptions in the U.S. during that same time frame. 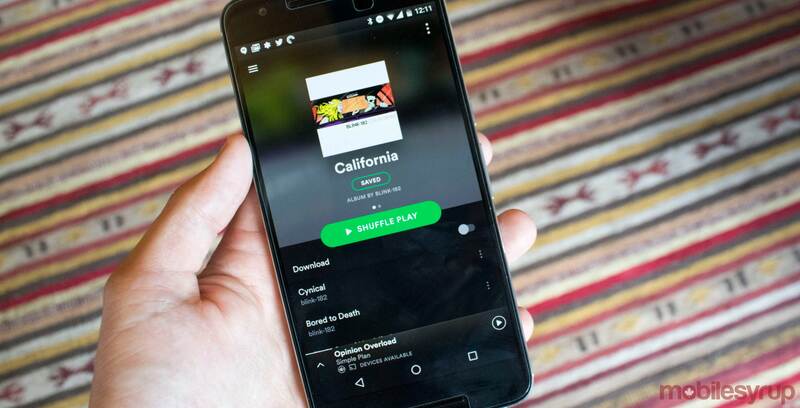 80 percent of Canadian streaming users use one of Apple Music, Google Play Music or Spotify, with the majority on the last one.